Colour Wash is one of our popular decorative finish. By applying artistic paint with different tools, our craftsmen can create irregular shapes and patterns on the surface. The free-form finish provide a perfect opportunity for customers mixing and matching in their unique style. 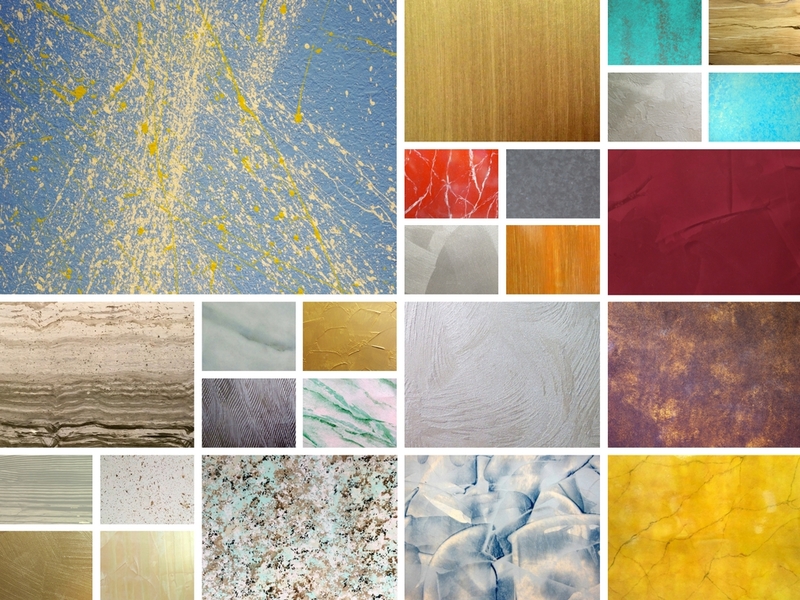 walls, wallpapers, canvas, ceilings or metal panels etc. drawing with brush, rolling or stamping etc. Please request a sample for accurate colours, and representation of patterns.